The Golden Retriever belongs to the Retrievers - Flushing Dogs - Water Dogs in the FCI grouping. The Golden Retriever is classified under the Sporting group in the AKC grouping. Is the Golden Retriever allowed as a pet in a Singapore HDB flat? England/Scotland, late 1800s. An English nobleman Lord Tweedmouth developed the modern Golden Retriever. Ancestors include Bloodhound, setters, Tweed water spaniels (extinct), Yellow Flat-Coated Retriever and the Curly-Coated Retriever. The Golden Retriever is a popular breed today, as family companions and also for obedience competitions. 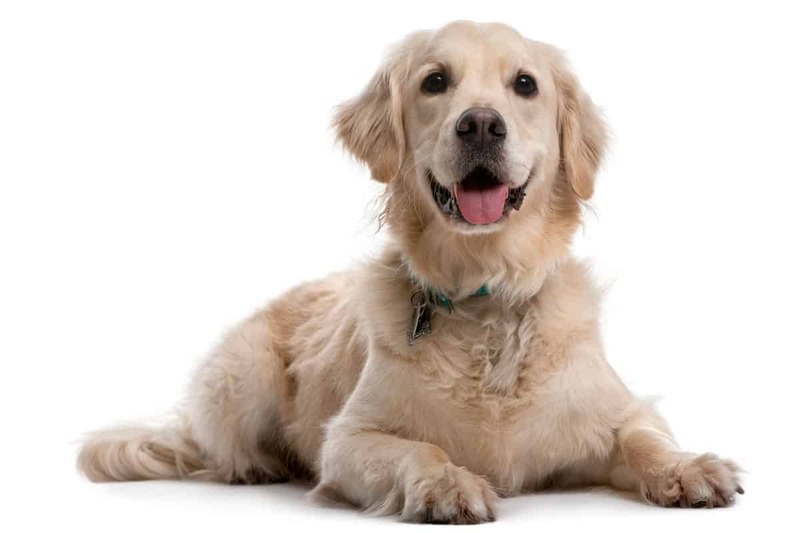 Golden Retrievers are also commonly employed in narcotics detection, as service dog for the disabled, guide dog for the blind, and also as a therapy dog. Gundog, hunting and retrieving shot waterfowl. Golden Retrievers are ever eager to please, friendly, calm, trustworthy, outgoing, versatile and confident. Solid, strong, rugged, active. The Golden Retriever requires human attention and mental stimulation. Not protective, mostly barks to welcome strangers. Can handle extremes of heat and cold better than many other breeds but does best in a colder climate. Enjoys swimming, but be sure to teach him how. The Golden Retriever is very reliable off leash, because he is very responsive to his owner. Some say the Golden is 'extremely tam chiak'. The Golden Retriever makes an ideal first dog. What are some Physical Features of the Golden Retriever? Golden Retrievers stand between 53.5 to 63.5 cm tall; weighs from 25 to 34 kg. Working lines are somewhat smaller than show lines. Colours are golden or “lion” colour, all shades from pale to reddish. Originally, darker, redder shades were favoured, but nowadays, lighter, more “golden” shades are more common and preferred. Either straight or wavy, moderately long; undercoat dense and water-repellent. Moderate to high maintenance; though easy to groom, the Golden Retriever requires two or three sessions of combing and brushing weekly. Some trimming required. Golden Retrievers are average shedders. The life expectancy of the Golden Retriever is between 10 and 14 years. Bloat, orthopaedic problems (hip dysplasia, OCD), epilepsy, eye problems (distichiasis, PRA, cataracts), von Willebrand’s, enteritis, cancer (including mast cell tumours), heart problems (cardiomyopathy, SAS) skin problems (hot spots, dermatitis, inhalant and food allergies), ear infections, diabetes. Golden Retrievers gain weight easily; do not overfeed. Moderate to high. Needs moderate outdoor exercise, if he doesn’t get a sufficient amount, can have behavioural problems. Golden Retrievers do not make good apartment dogs; if housed in an apartment, be sure to take him on daily long walks or jogs. Moderately active indoors, needs room to run, does best with a large yard. Very loving to the entire family. Excellent with children; however, may be too lively for very small kids. 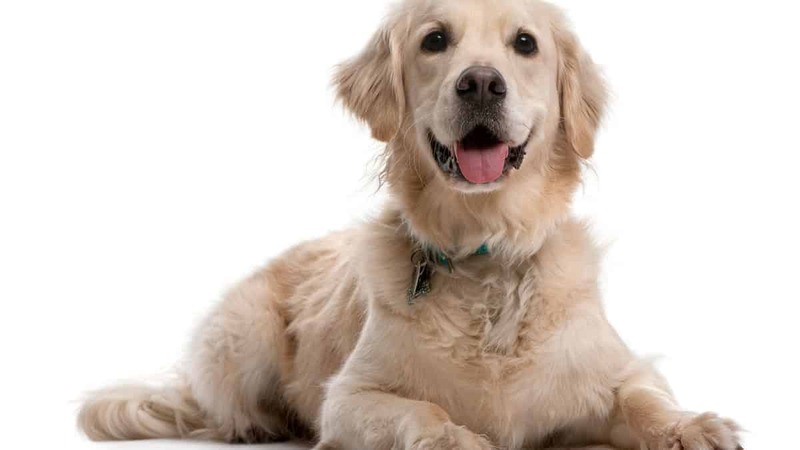 Golden Retrievers are known to be very friendly to strangers, so don’t expect the well bred Golden to guard your property, has extremely low guarding instincts. Very friendly with other pets. Extremely high; very easy to train. Training the Golden Retriever is extremely rewarding as he hangs around and wait to be told to do something. Thrives on obedience training. Obedience, fly ball, agility, guide dog, search and rescue, hunting, therapy dog.